Since 2012, the Government of Mali has engaged in multiple and overlapping non-international armed conflicts (NIACs) against various insurgent groups, most notably Jama’at Nusrat al-Islam wal-Muslimin (JNIM), the Plateforme, and the Coordination of Azawad Movements (CMA). France and the United Nations Multidimensional Integrated Stabilization Mission in Mali (MINUSMA) support the Government of Mali in its efforts to restore state control over areas in the hands of non-state armed groups and are parties to these NIACs. 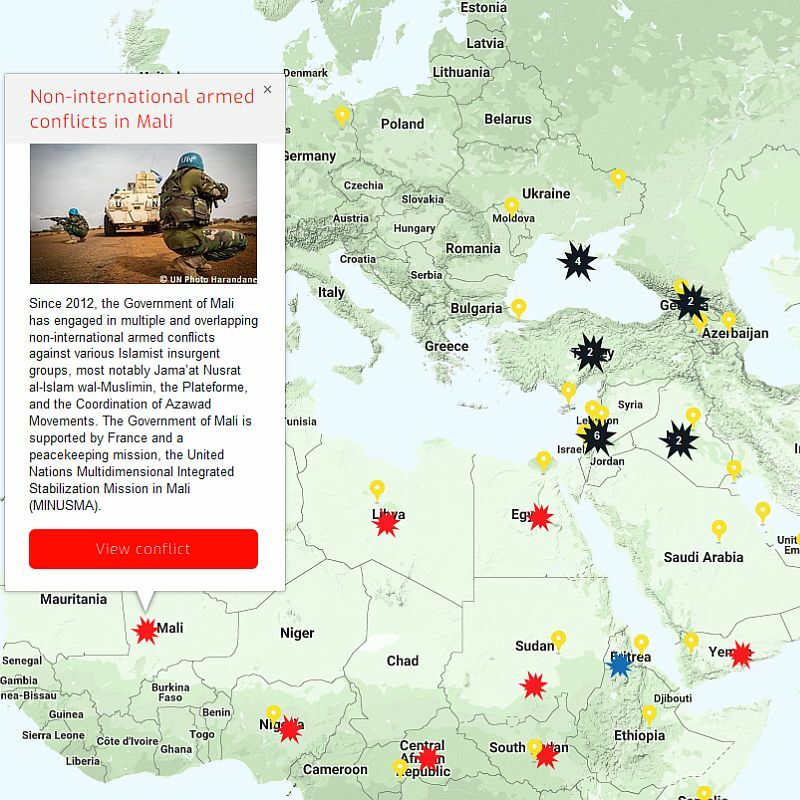 Our Rule of Law in Armed Conflict (RULAC) online portal provides a detailed analysis and legal classification of the various NIACs that are taking place in Mali, including information about parties to these conflicts.